Once you build a bankroll you can take shots at the big events. 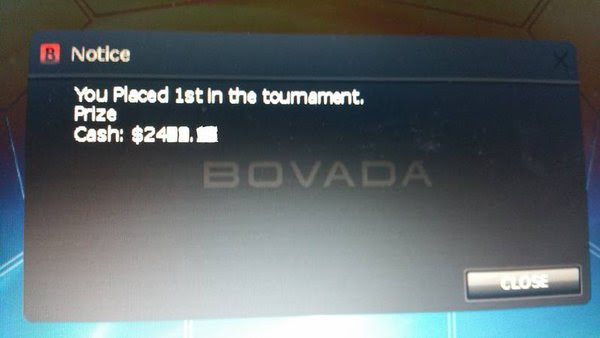 You might just have a huge payday, like the user who sent us this screenshot after the bot won the $25,000 Guaranteed at Bovada. He was using the KGB profile and says he let it play the entire event. USA Players: BetOnline Poker, Ignition Casino Poker, Bovada, America’s Cardroom, Black Chip, True Poker, and Sportsbetting.ag are all "game on" for our bot. That’s it for now. If you need a license, there’s a link for buying one on the bot itself. Have fun crushing the summer poker tournaments and we’ll see you or your bot at a final table soon.